As you’ve probably read or heard by now, the public option debate seems headed back to an old compromise, albeit with a new twist or two. This clearly isn’t good news. But I’m not sure it’s awful news, either. In the two weeks since Harry Reid rounded up sixty votes to begin debate on his health reform bill, it’s become clear that he probably can’t count on the same sixty votes to pass it. The single biggest reason is the public option. 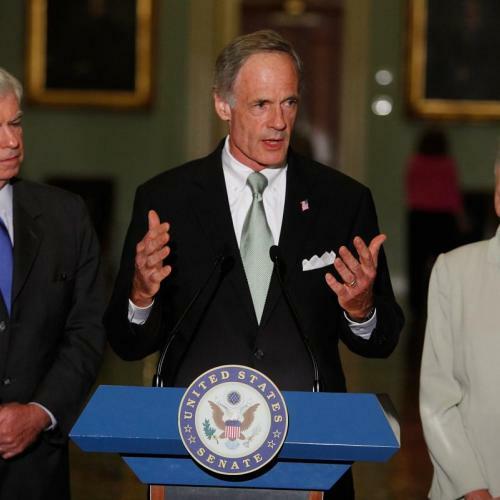 Reid’s bill included a relatively weak version of the public option. The plan would negotiate rates with providers, rather than use Medicare rates. And individual states would have the right to “opt out” of it altogether. But even this is too much for a handful of centrist Senators. 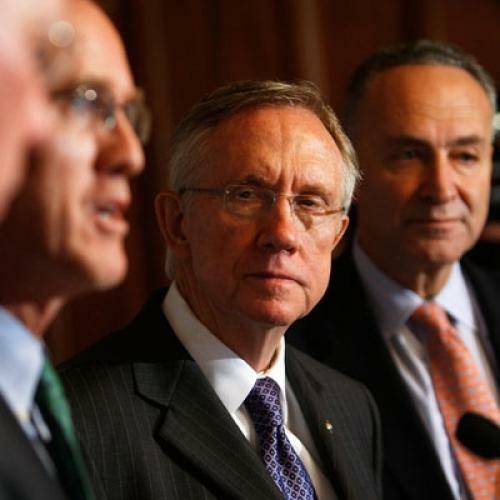 And without those Senators behind him, Reid doesn’t have the votes to break a Republican filibuster. As The Hill’s Jeffrey Young reported this week, Reid has responded by asking Delaware Senator Tom Carper to come up with a “Plan B.” Although Carper isn't saying what Plan B will be, Capitol Hill sources I consulted expect (as The Hill story suggests) that the basis for the compromise will be some variation on a “trigger,” perhaps along the lines of what Republican Olympia Snowe first suggested several months ago. Under that proposal, a public plan would become available only in states where insurance offerings were not sufficiently affordable, according to the latest data on prices. That’s the old idea. And the new twists? The first has to do with what happens once the trigger is pulled--that is, the kind of public plan that appears in states without sufficiently affordable insurance. Carper himself has suggested the plan not be run by the government--at least not permanently. Instead, the idea would be to have government start up the plan, then hand it off to some quasi-independent, non-profit authority. The second new twist (and here, to be clear, I'm reading between the lines of what Carper and others have said) would be to add some kind of “opt in”--that is, to allow states that want a public plan to offer one, even if the trigger conditions aren’t met. This package will not thrill progressives, nor should it. The Reid version was a watered-down version of the House public option, which was, in turn, a watered-down version of the public option progressives have been touting for the last two years. If not for the absurdities of the Senate and the filibuster, reform with a stronger public option would have passed long ago. But, to be honest, it’s not clear exactly how much progressives would be giving up in this new compromise. The trigger has an awful reputation on the left, in part because people associate it with Snowe and the agonizingly painful quest for bipartisanship. But you can make a case that a well-designed trigger could do as much good--maybe even more good--than a poorly designed public plan. In fact, three researchers from the Urban Institute recently made that case. And they made it pretty well. Among other things, they noted, the states most likely to opt out of a public plan are precisely the ones whose populations would most benefit from it. (Hint: They tend to be in the South and interior West.) By contrast, a trigger that set high standards for affordability and costs would help people in all states. Naturally, the hard part is making sure the trigger really is "well-designed." And that really depends on the details. What conditions would cause the trigger to be pulled--lack of affordable insurance, higher-than-expected cost growth, some combination of the two? And for those states that end up with a public plan, because the trigger gets pulled or because they choose to opt in, what does the public plan look like? Will government merely provide the start-up funds--or actually get the plan started, perhaps tapping into Medicare’s provider network, just so it’s established? Would the plan get to use the same sorts of innovative payment schemes Medicare will be introducing, in order to foster more efficiency? Would it be a national plan, with various states participating, or a bunch of separate state plans? And who, exactly, would be running it if not the government? Answer these questions correctly, and you end up with a decent public plan--something that really does discipline the entire health care system, while offering a meaningful new choice to at least some people who wouldn’t have one otherwise. Answer them incorrectly and you end up with a mush. Or worse. Of course, the same political forces that oppose Reid’s public option will oppose efforts to make Carper’s compromise stronger. But once the trigger is back on the table, Olympia Snowe rejoins the conversation and maybe Susan Collins gets involved, too. That expands the universe of potential supporters from sixty to sixty-two, giving progressives a little more leverage--maybe even enough to save what’s left of this very good idea. Update: When I sat down to write this item, I intended to write a second part, explaining that progressives also need to think about other concessions to seek--in other words, what they should get in exchange for giving up yet more ground on the public option. But I ran out of time. Fortunately, Ezra Klein has already written a smart post on this very subject. So go read him (not that you needed me to tell you that). Also, I originally wrote that Carper "indicated" a trigger would be the basis for a compromise, but, as far as I know, he hasn't actually said that--at least in so many words. Rather, he's hinted at it--and people close to the negotiations expect that is where the discussion is headed, although they stress that nothing seems to be final yet. Sorry for the initial imprecision. Finally, here's Bill Scher with a (typically) smart rejoinder.